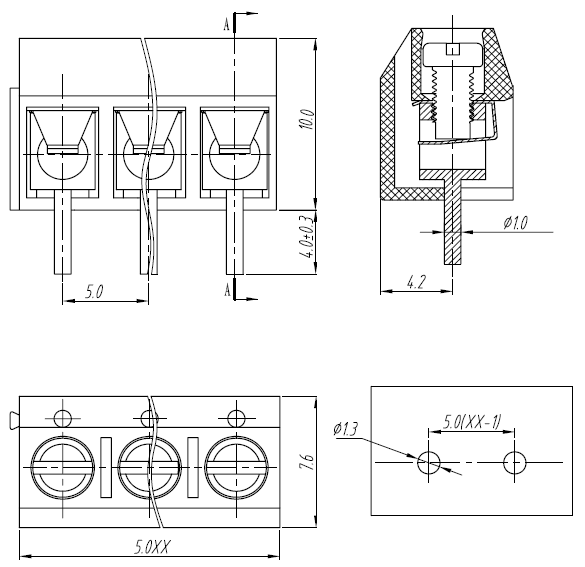 These 3-Pin 5mm Pitch side-entry screw terminal blocks have a pitch of 5 mm (0.197″). 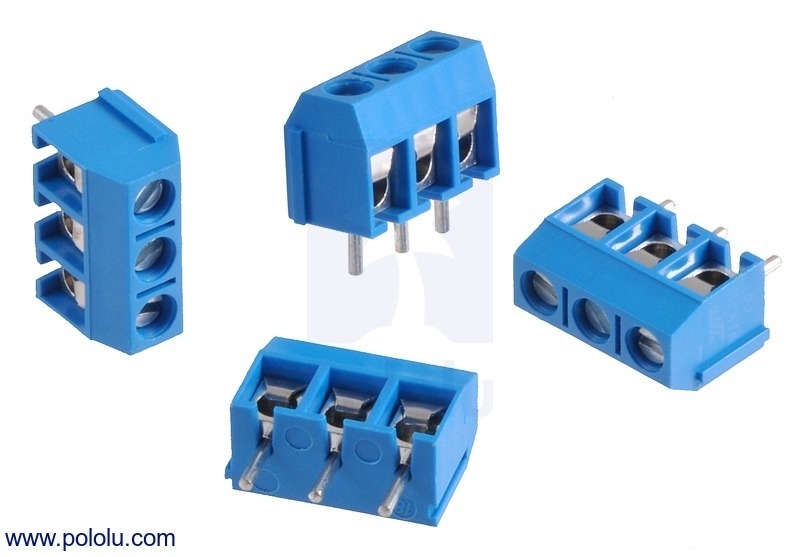 Each block has three terminals for the stripped ends of 22 – 14 AWG wires, and units can slide together to make longer strips. They are rated for 250 V, 16 A (UL) and ship in packs of four.